Can I take an online nutrition certification? The Venice Nutrition Certification program was designed to be taken from anywhere. You can study from the comfort of your own home and study at your own pace. There’s no need to spend time driving out to a school, carrying around books, and sitting for hours in a classroom. People learn in different ways, so our program gives you every possible strategy to learn the material with written text, images, videos, numbers, and examples. Not everyone learns best in a classroom environment, so our online nutrition certification allows you the flexibility to learn the material in the way that fits you best. Another key advantage of an online nutrition certification is that you can get started right away. Nutritionist degrees and other long term programs not only can take many years to complete, but they may have a host of prerequisites that can take years to obtain if you don’t have them already. You may have to go through a long application process before you are even accepted. Not with the Venice Nutrition Online Certification Program. Our program was designed with busy parents and professionals in mind. It’s quick and easy to get started, there are no additional books or materials to buy, no class schedule, and no degree is needed to graduate from the program. 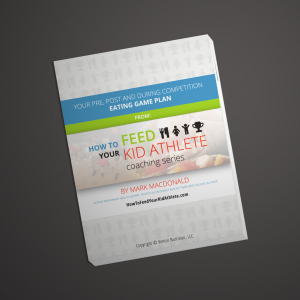 It’s the fast and efficient way to get your nutrition certification. Are there disadvantages to an online nutrition certification? For individuals who prefer to study in a classroom environment, it may be preferable to take a live course at a college or university. There are no disadvantages to the certification itself as both an online and in-class nutrition certification allow you to do the same things, namely teach nutrition to your clients. Is an online nutrition certification as good as one from a university? If you plan to teach nutrition to clients, this certificate is all you need. The Venice Nutrition Certification allows you to teach nutrition legally in all 50 states. Most certifications do not allow this. Be careful when choosing a certification, especially if it is an online course. You have to make sure that it equips you with the knowledge and legal requirements to teach nutrition. The Venice Online Nutrition Certification has everything you need to succeed. Will I get continuing education credits (CECs) from this online certification? Yes, our online program gives you 1.9 NASM units. In 2016 we will be adding even more partners that will give you credits for the Venice Nutrition Program. To remain in good standing with NASM all certified trainers must have 2 units over a 2 year period. Our Venice Online Nutrition Coach Certification provides nearly all of the required units and provides you with information that you can apply immediately with clients.